Art brings life to the world, it carries light and speaks volumes of emotions. And while all this may happen subconsciously, on quite a subtle and low-key scale, the effects are undoubtable. Imagine walking around Cairo’s streets and seeing beautiful artwork all around you? 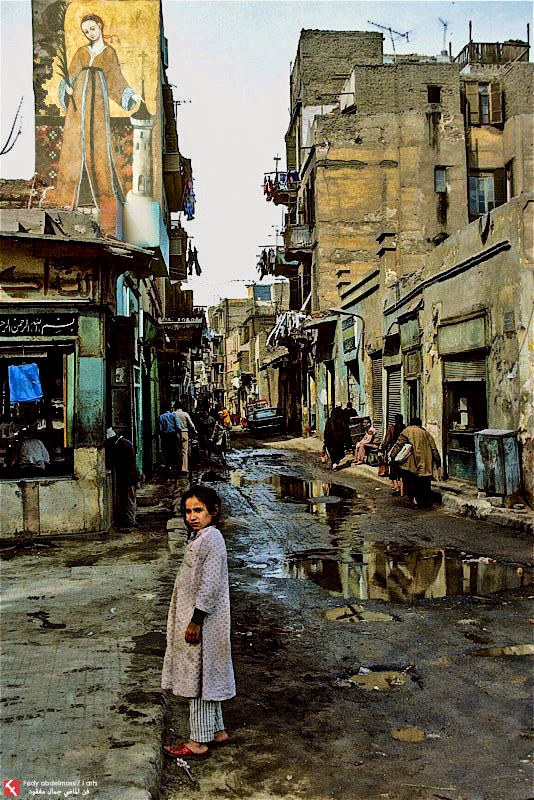 Well, this is exactly the dream of a young Egyptian artist, yearning to see beauty in the beloved streets of our Capital. Wall art and graffiti are nothing new to Egypt; the concept of sending a message on walls has been around for millennia, and while some have taken a less eloquent approach by promoting their tutoring services, car towing services, or simply professing their love to their partner on walls or trees, others have been more artistic in their expression. Fady Abdel Masih, a 25 year old Egyptian architect has decided to beautify Cairo streets with a genuine and interesting approach. Inspired by the Coptic arts, Fady aims to hide all the wear and tear that Egyptian buildings and walls have faced over time, by putting a façade of artistry on those very walls. He named his project, “The Art of the Past… Beauty Gone Missing”, he was driven by the ugliness he saw on many walls in Cairo, be it through random writings, natural deterioration, or neglected writings for elections long past. He decided to change things up with his art. Cairo 360 sat down with Fady, and he told us how the idea came to be; his imagination of all Egyptian streets being covered with ancient Coptic, Romanian, and Byzantium arts. So he started doing his research, finding pictures of those arts, understanding their styles, and then making his own designs. Fady has already started on his journey of beautifying Cairo streets by creating digital representations of how a number of streets would look with these wall paintings, and he hopes that government officials will see this in the right light, and approve of such movements so they can start being implemented. 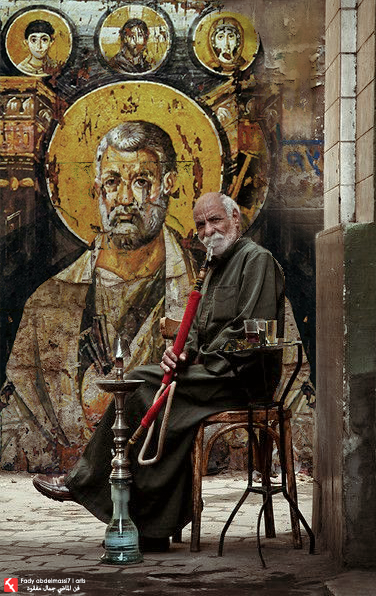 He believes that such artwork will make Cairo streets an open museum, and with time, such pieces will be more and more valuable, and will inspire people to read and learn more about them and their history. With great conviction of how great this idea could be, we at Cairo 360 have got in contact with Engineer Mohamed Abo Seada, President of the National Organization for Urban Harmony, and sent him samples of Fady’s art. We were delighted to see Engineer Abo Seada welcome such an initiative with open arms, and ask to personally meet Fady to learn more about his project, and coordinate the details to actually execute the project on a large scale. We’re hoping they iron out the details promptly, and that we start seeing the effects of this beautiful initiative on Cairo streets very soon.